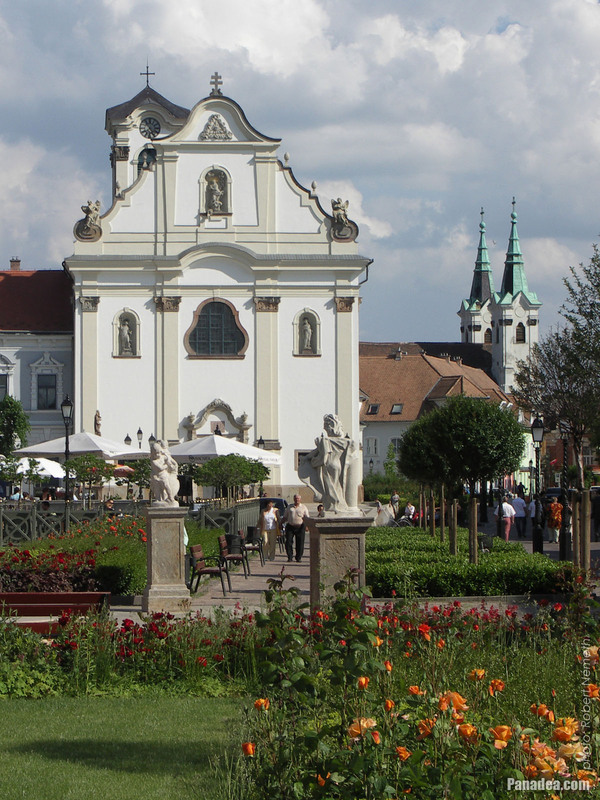 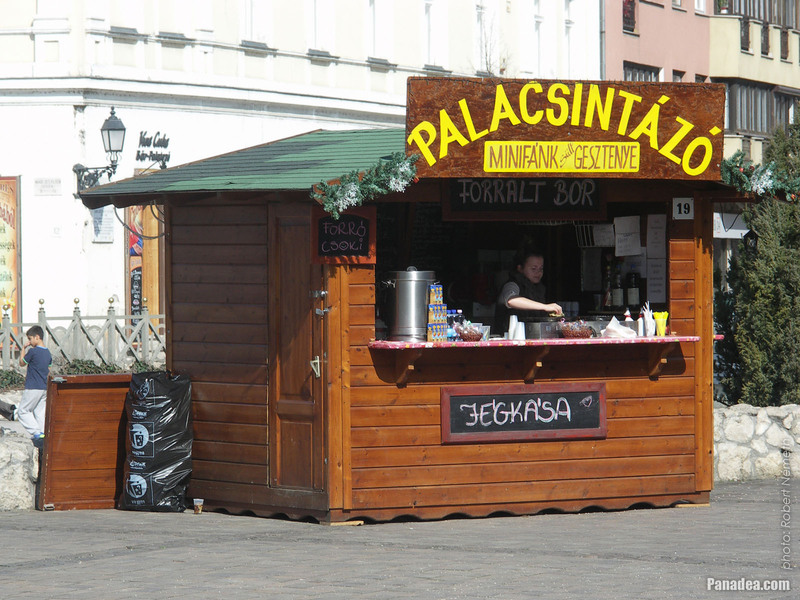 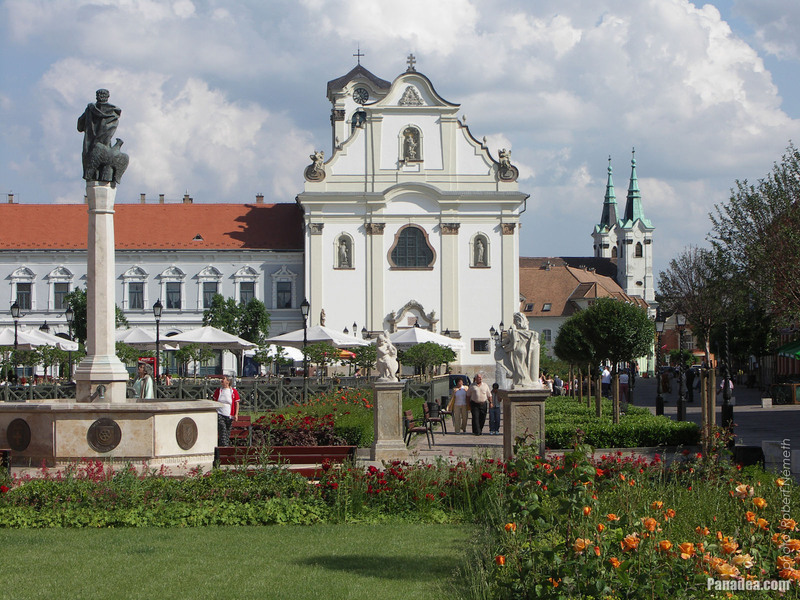 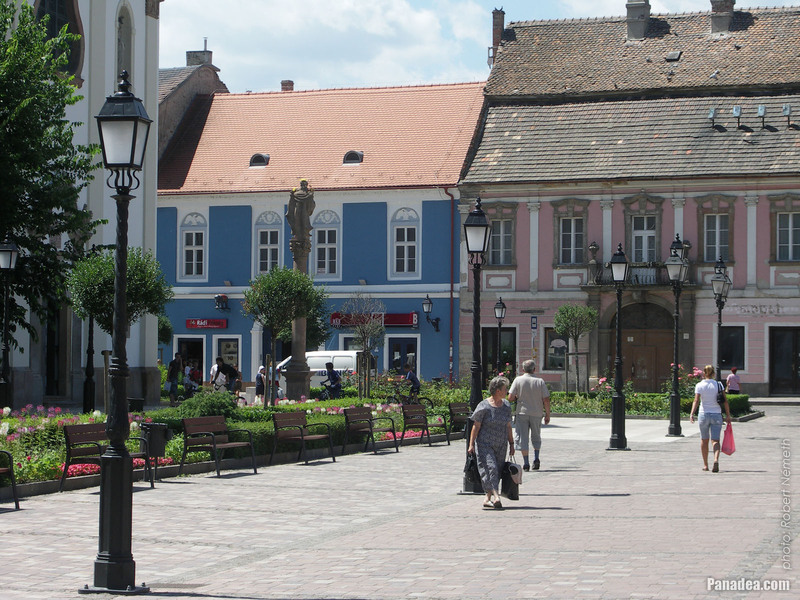 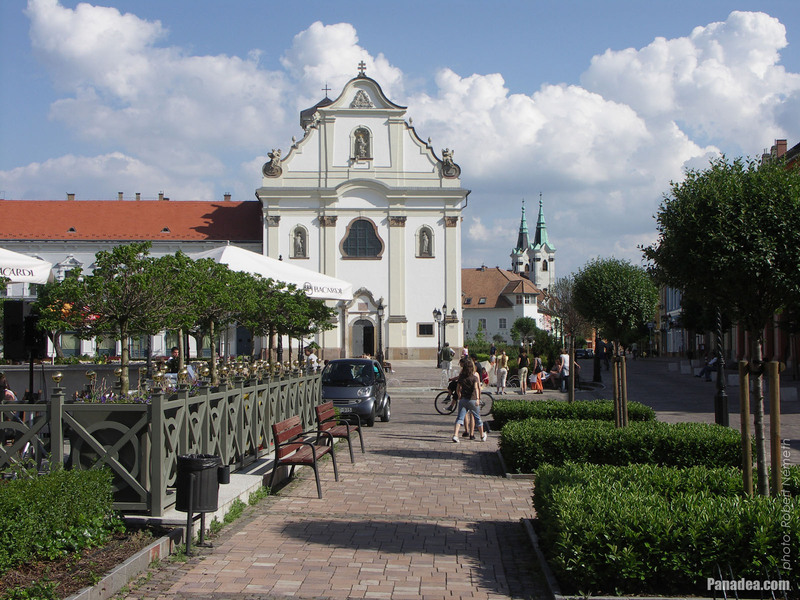 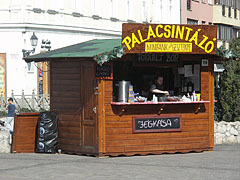 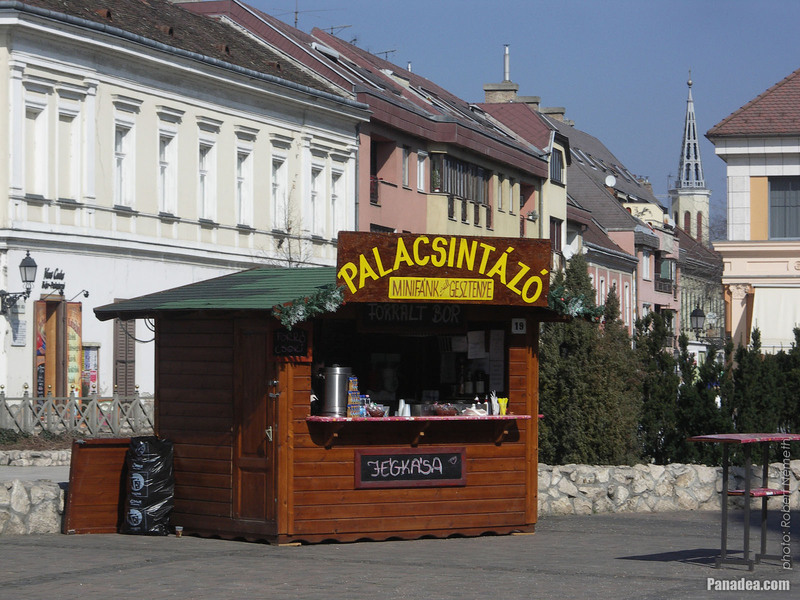 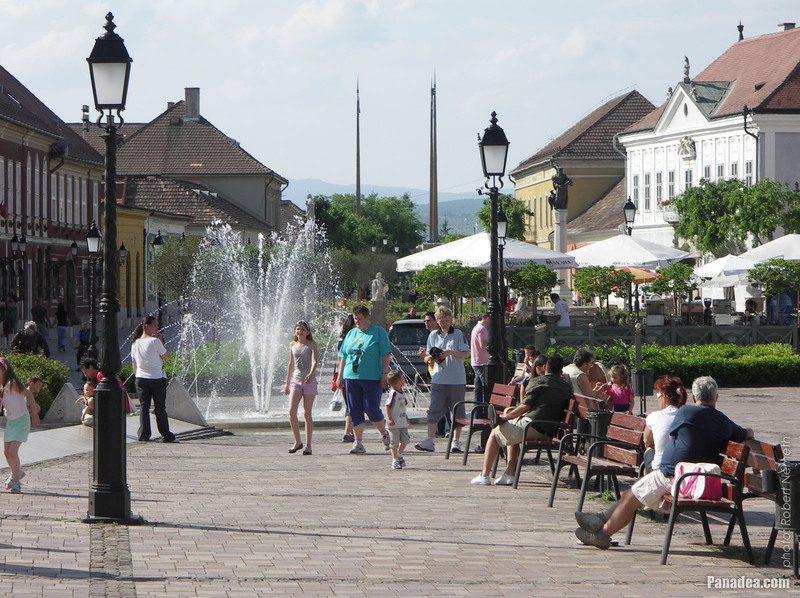 The "Március 15. tér" ("March 15 Square") in Vác is one of the most beautiful baroque town square in Hungary today. 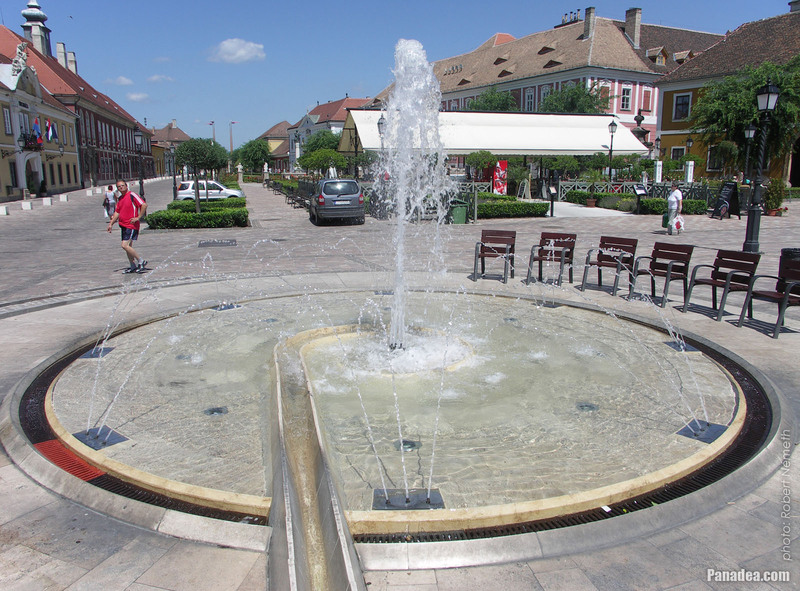 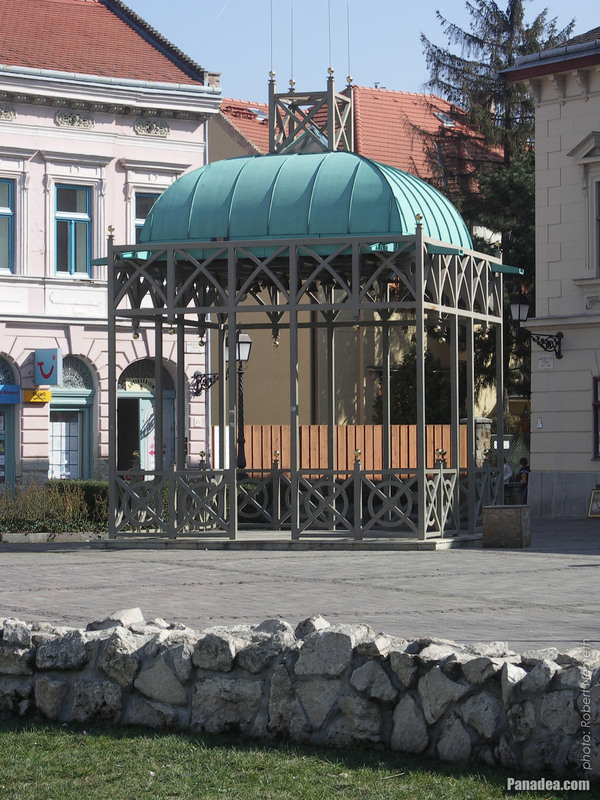 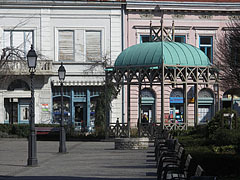 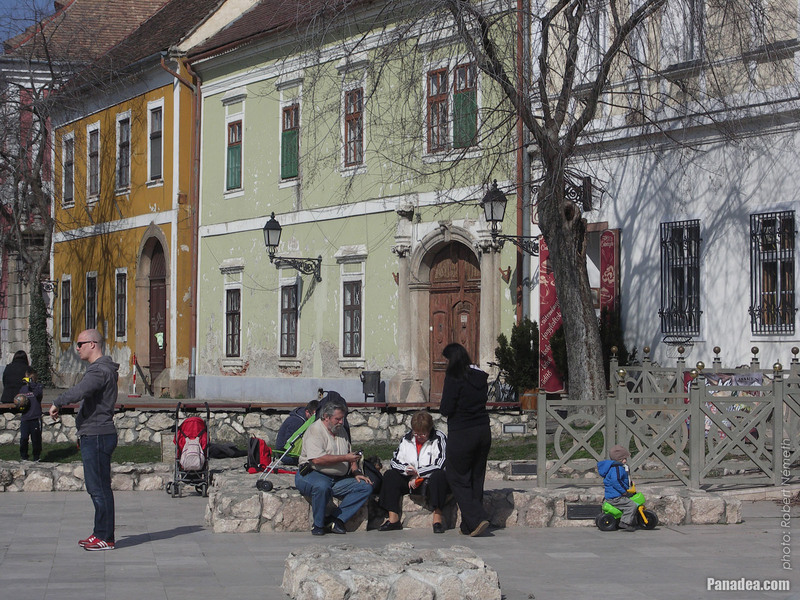 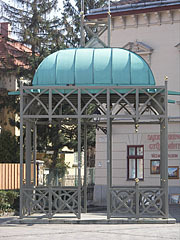 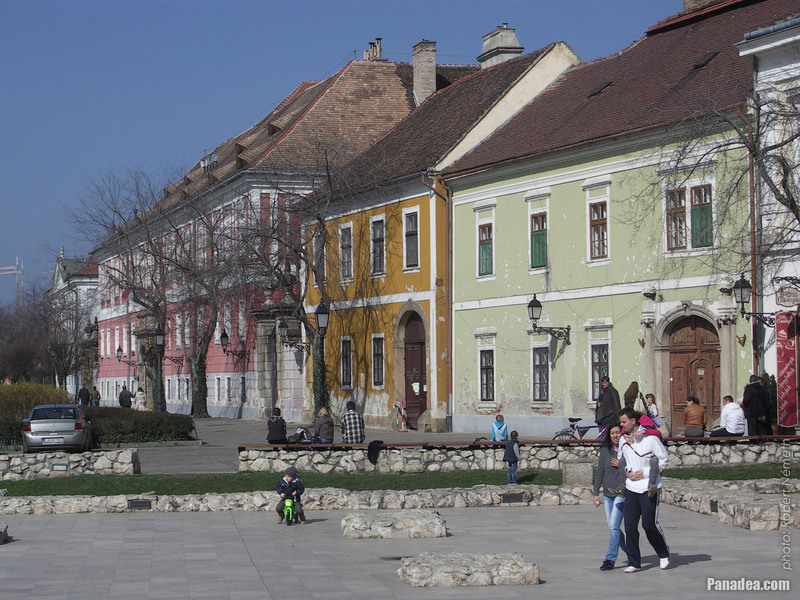 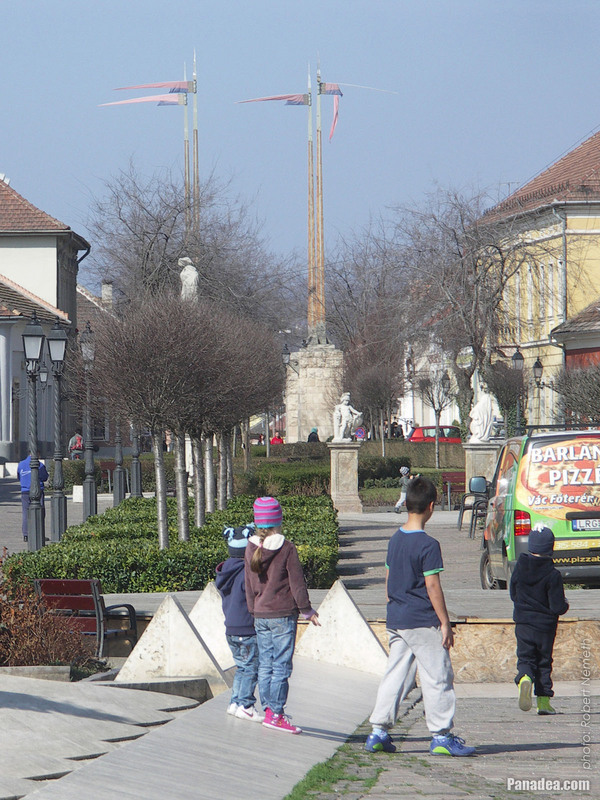 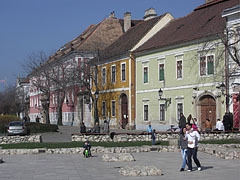 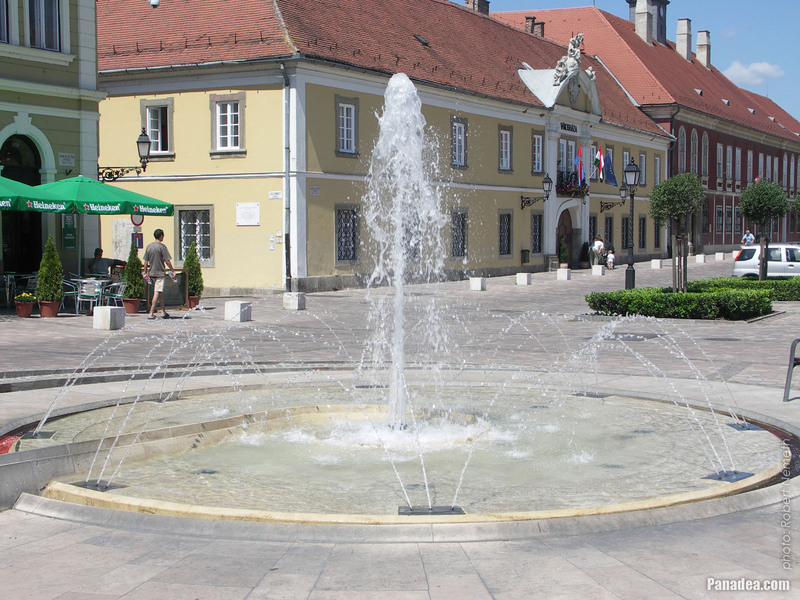 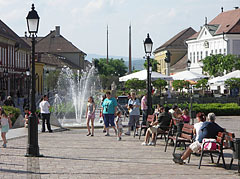 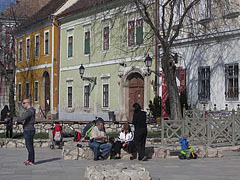 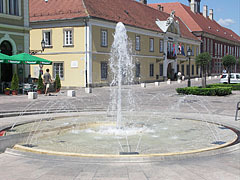 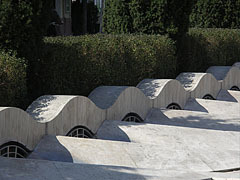 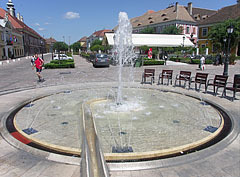 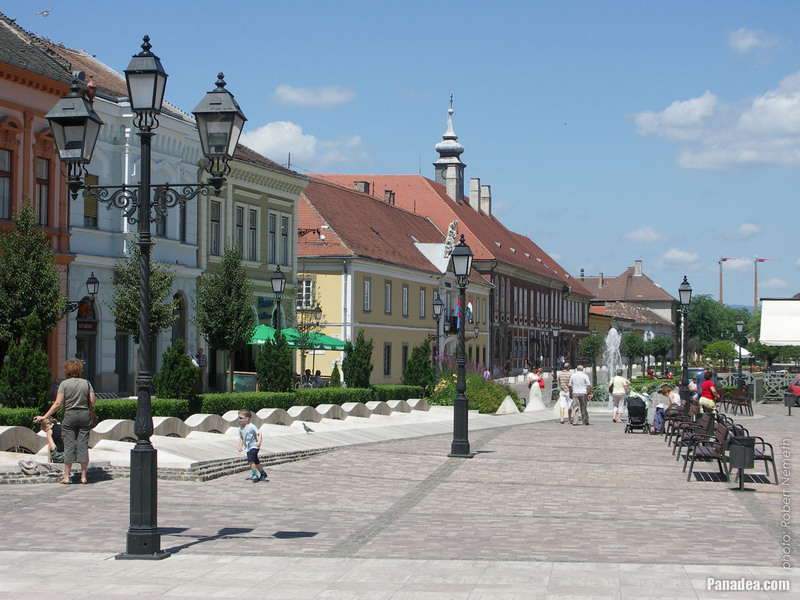 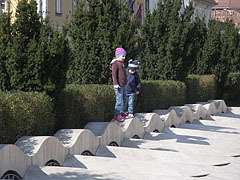 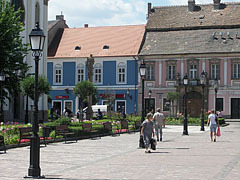 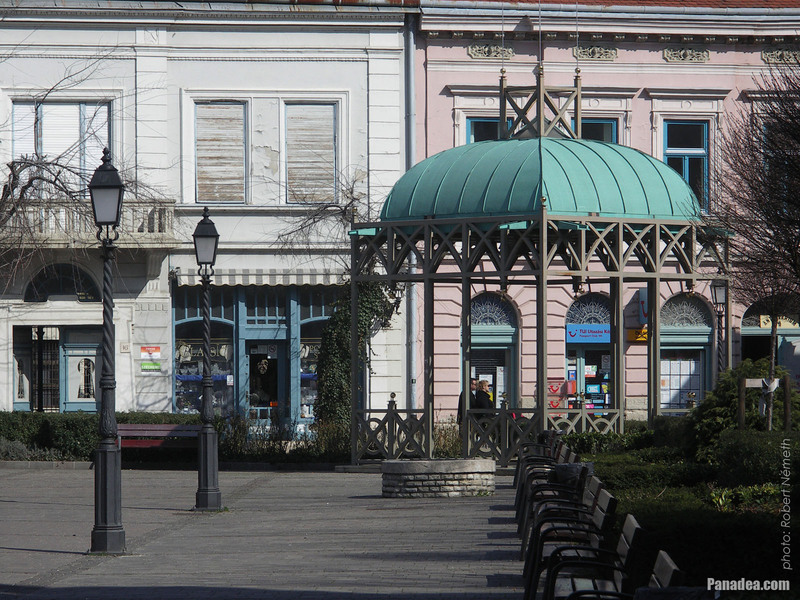 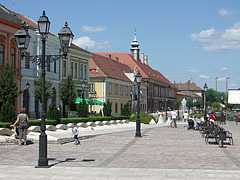 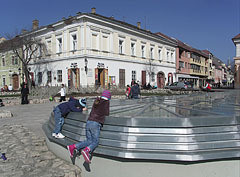 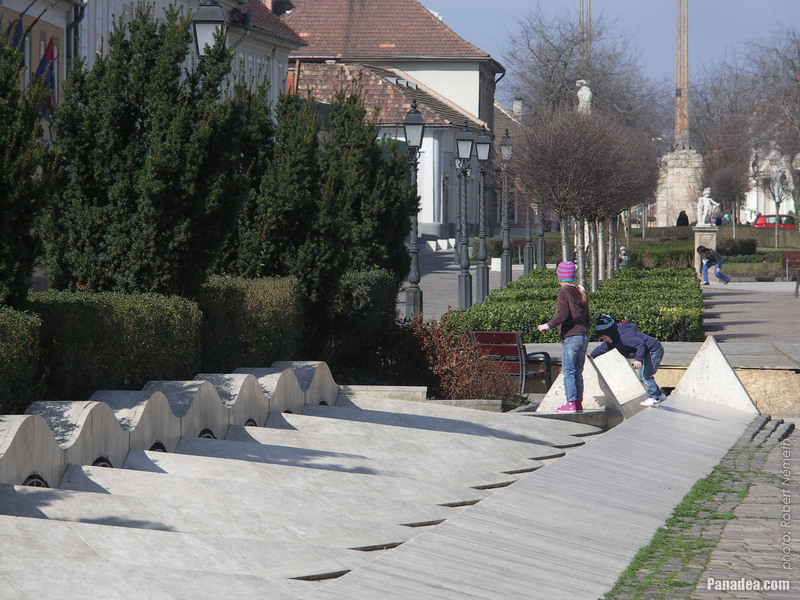 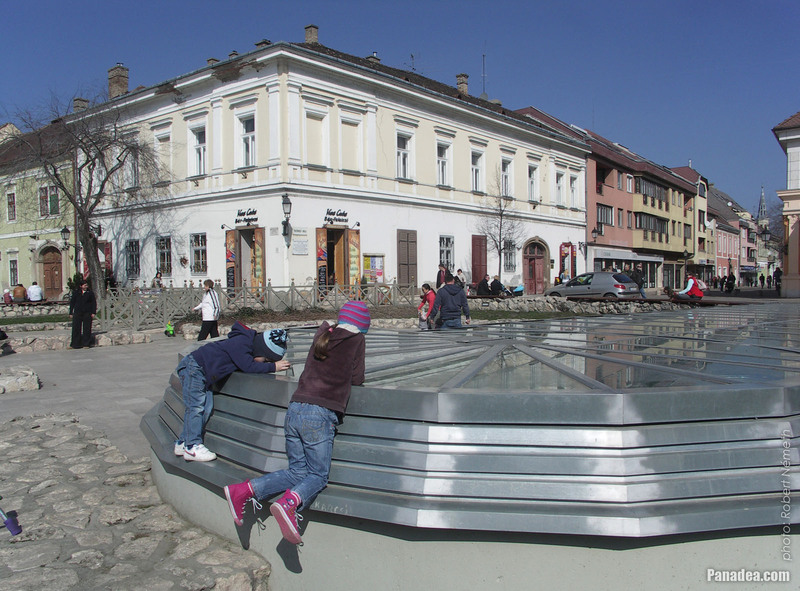 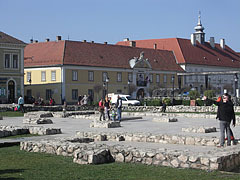 The square received its current form in 2006 by the plans of Frigyes Pogány and Miklós Horler, but its typical triangular shape was developed by German settlers who arrived here after the Mongol Invasion in the 13th century. 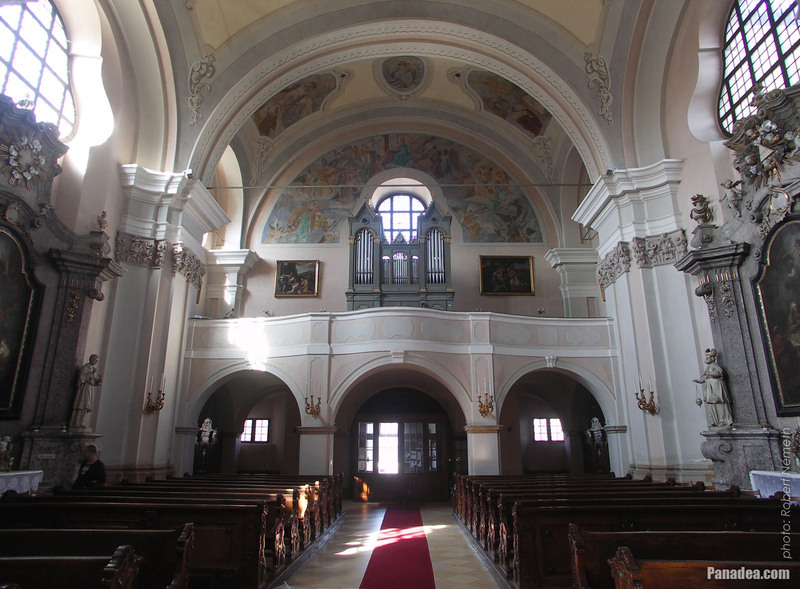 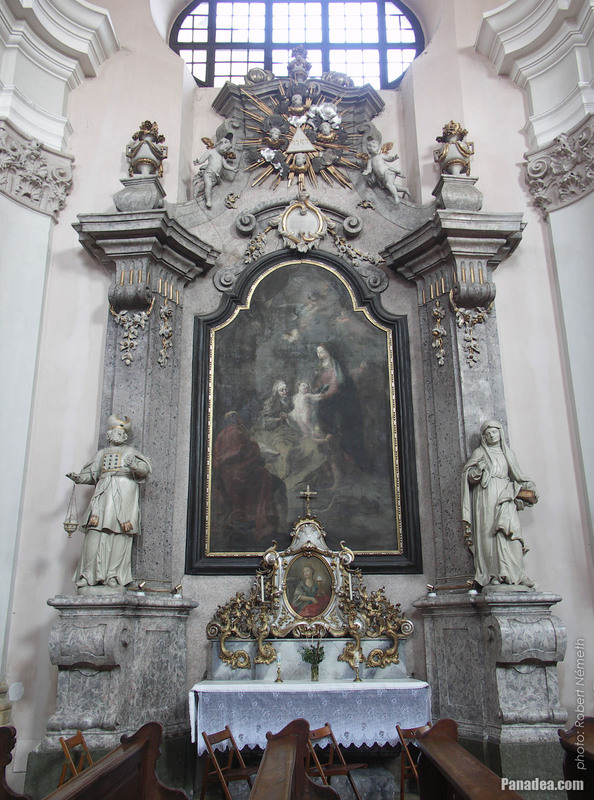 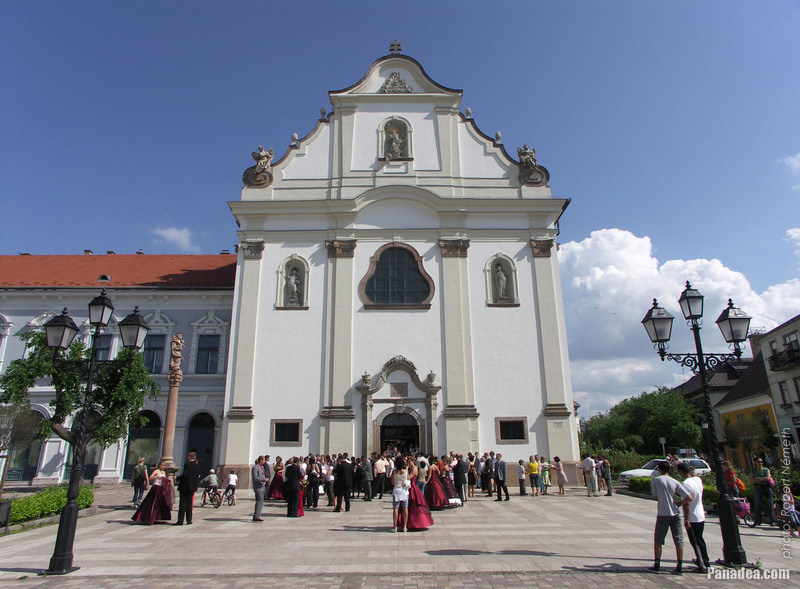 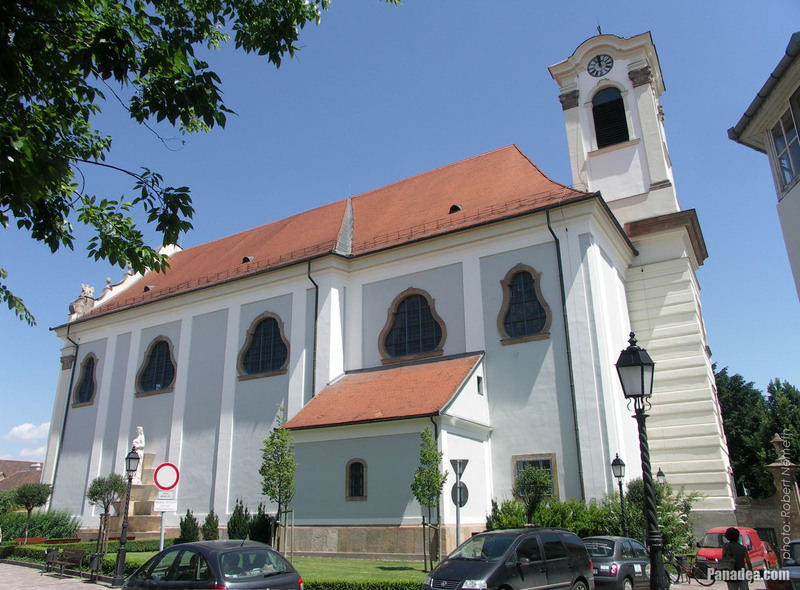 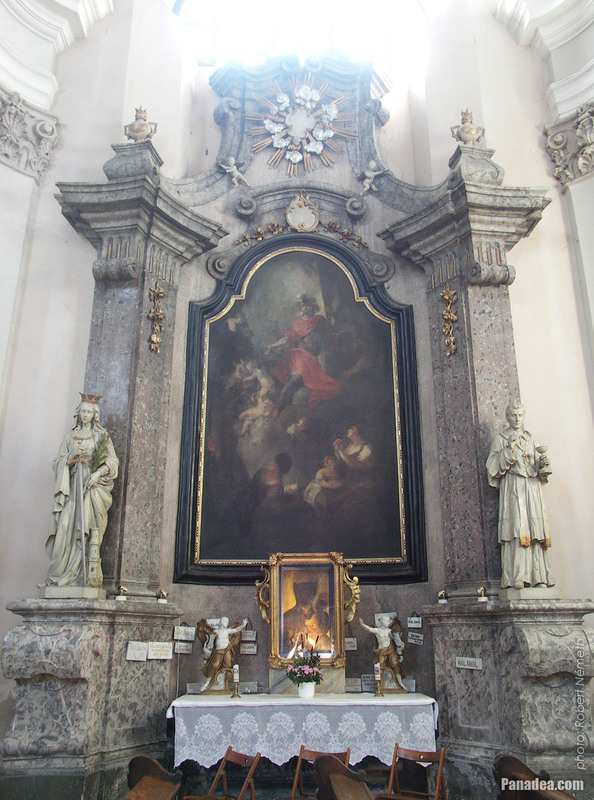 This church in Vác initially belonged to the Dominican religious order, the construction was begun in 1699 but it was completed only in 1755, led by Márton Kalcher. 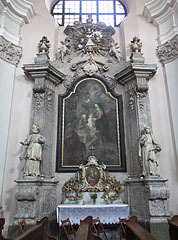 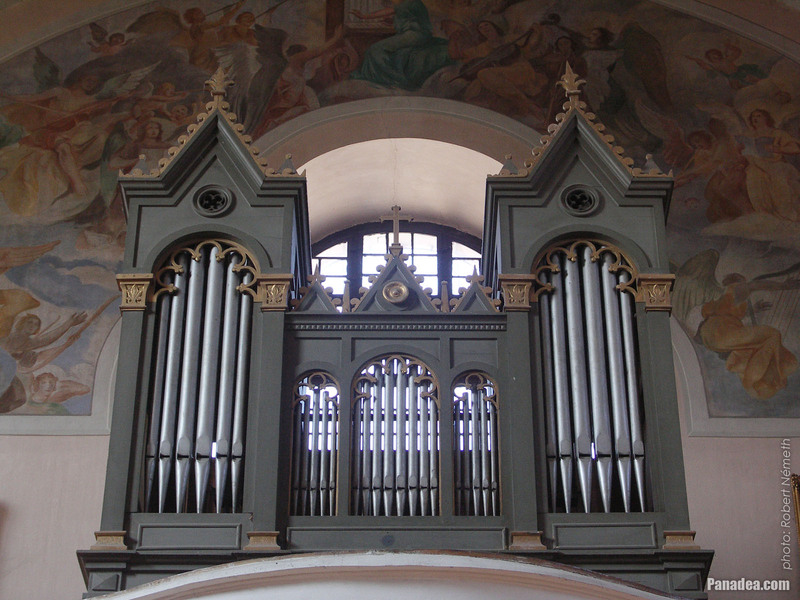 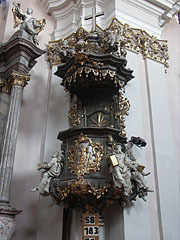 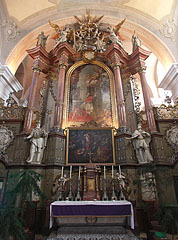 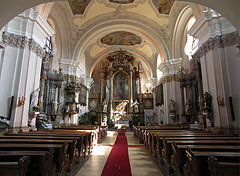 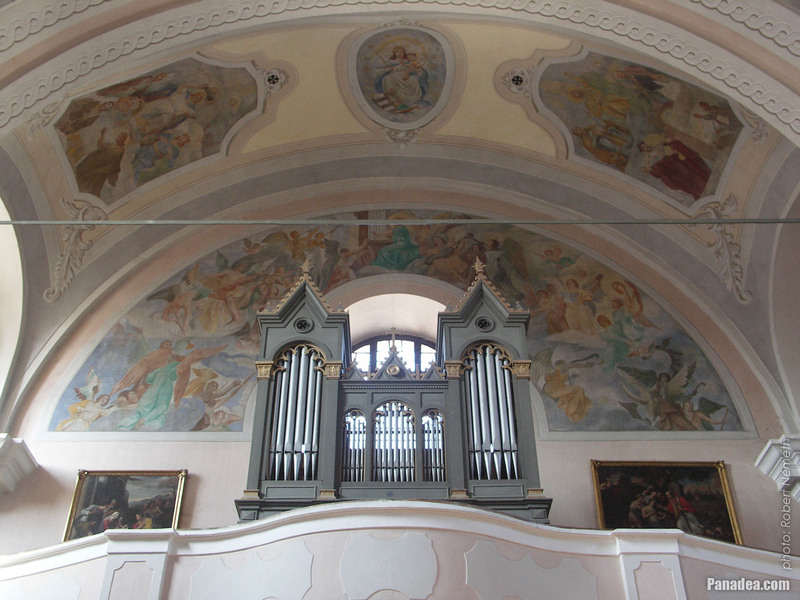 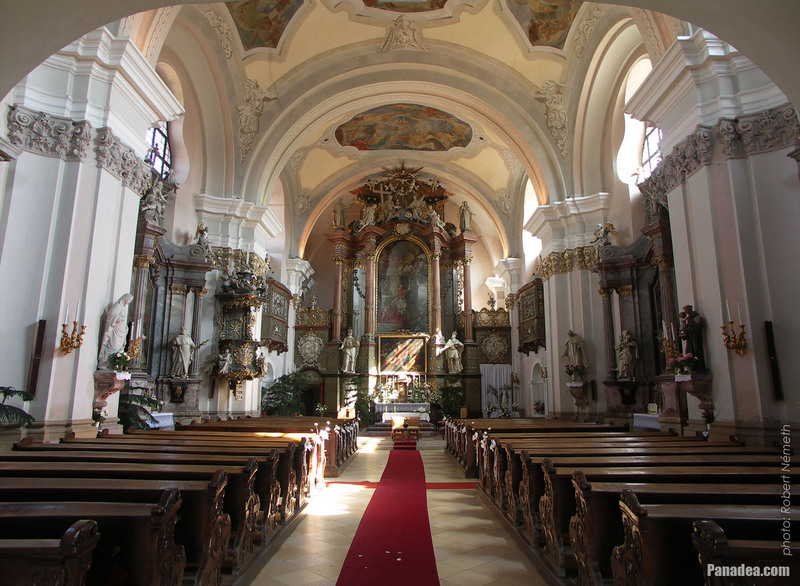 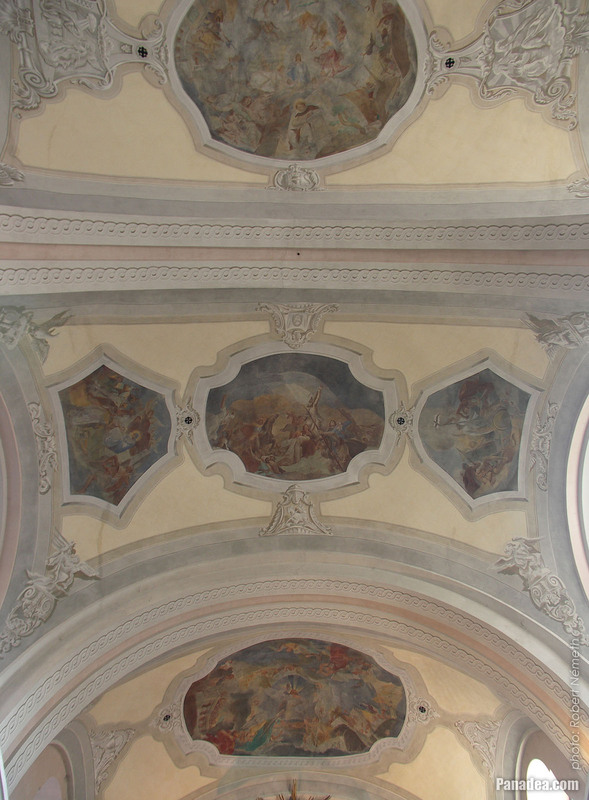 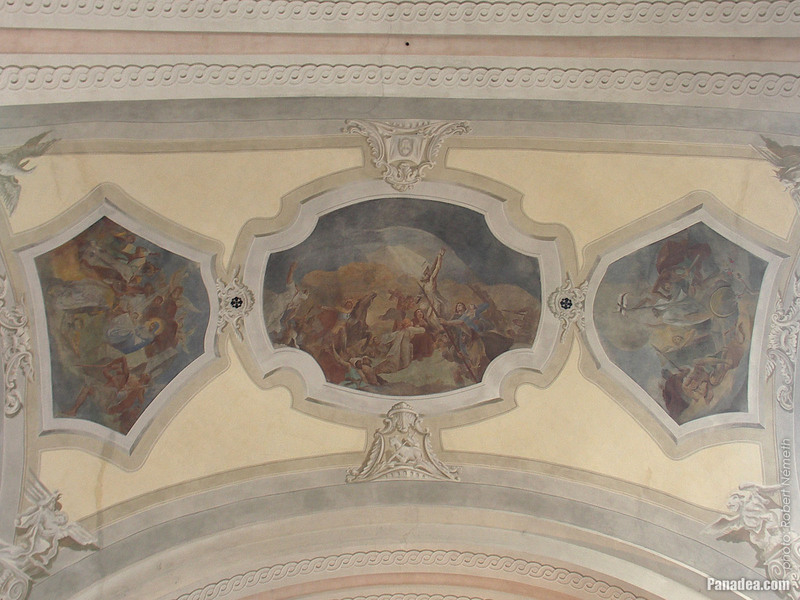 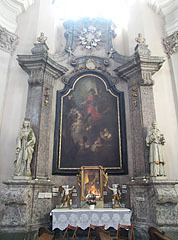 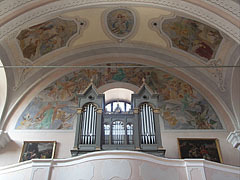 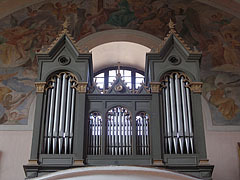 The rococo style interior of the church was created around 1770. 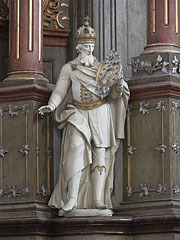 The altarpiece on the columned high altar represents Pope Pius V who is begging for the success of the battle against the Turks. The building received its "Church of the Whites" (or the "Whites' Church", in Hungarian "Fehérek temploma") name after the white religious habit of the Dominican monks that they wear under their black cloak (aka "cappa"). 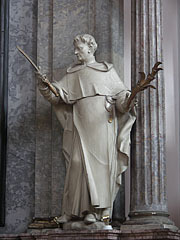 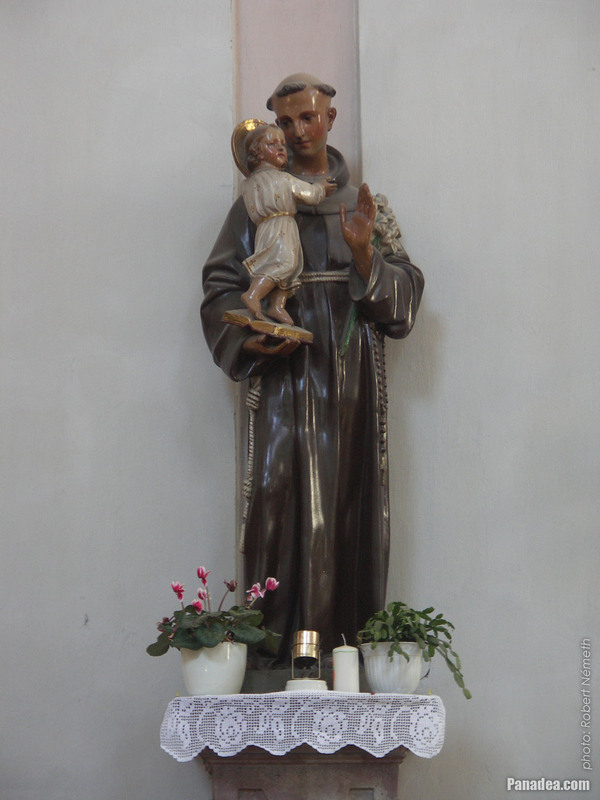 Surprisingly while the Dominicans were called for example in Hungary as the "White Monks", in England and other countries they are called "Black Friars" due to their black cloak. 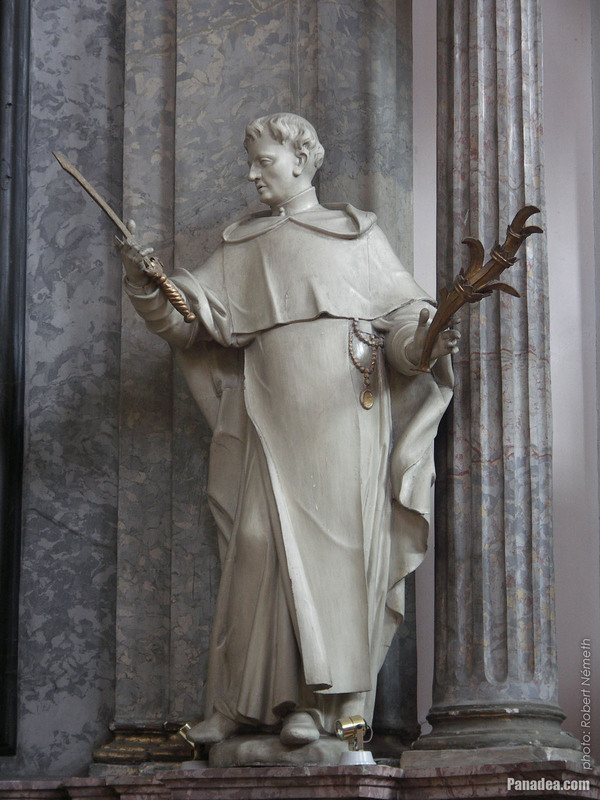 By the way, the name "White Monks" usually refers to the Cistercian friars, but sometimes it is used in relation with other religious orders as well. 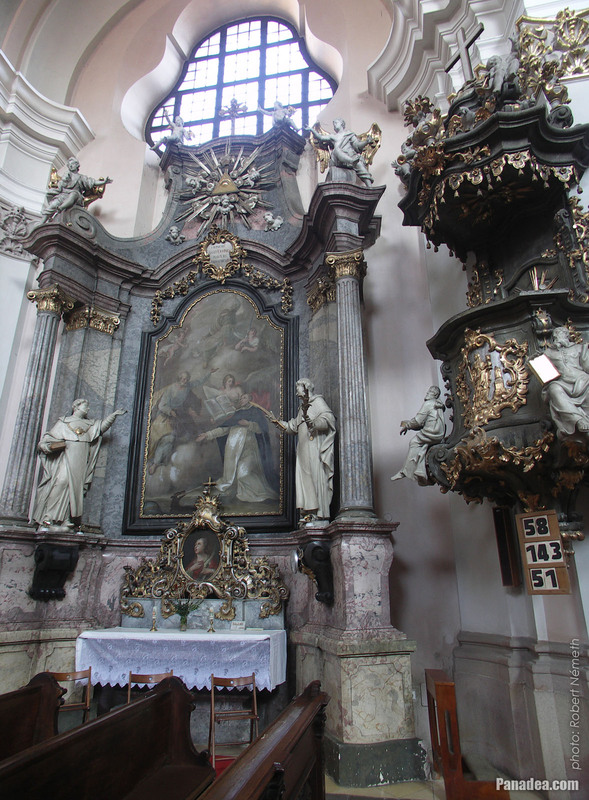 It is worth to mention the statues on the facade of the church, on the two sides of the lyre-shaped window there are statues of St. Dominic and St. Emeric, as well as above it a statue of the Immaculate Conception (of Virgin Mary) can be seen. 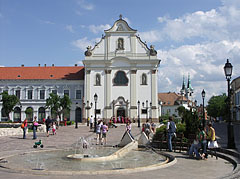 Interestingly the steeple (tower) of the Whites' Church is not on that side which has the main entrance and faces the main square, but placed on the other side of the building. 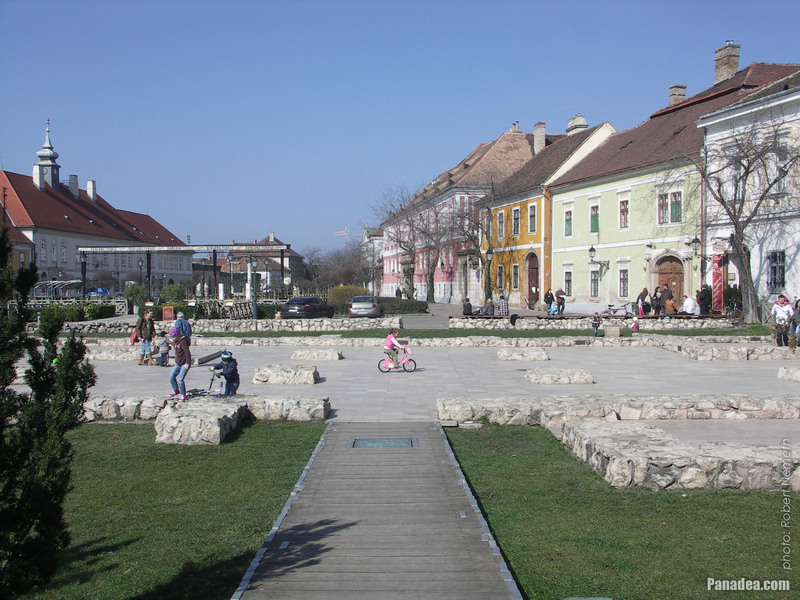 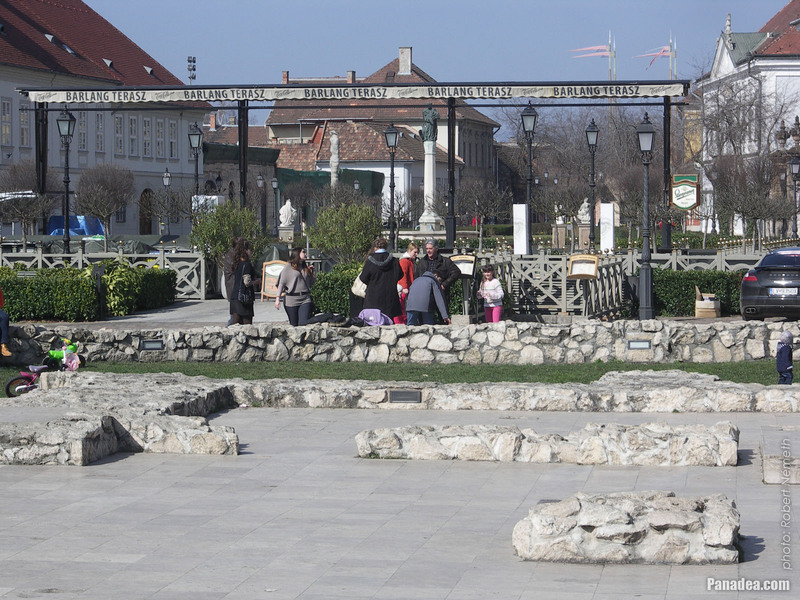 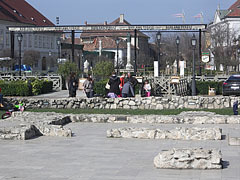 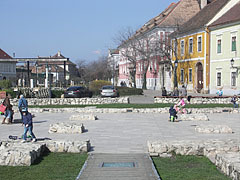 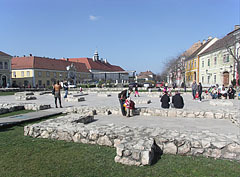 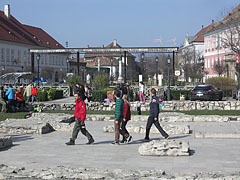 The ruin garden in the middle of the town square of Vác contains the wall remains of the medieval St. Michael's Church (in Hungarian "Szent Mihály-templom") and the cemetery garden. 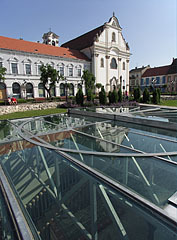 The part that is covered with the modern glass roof is a 18th-century crypt (undercroft or "lower church"), inside it today there is an exhibition of the history of the former religious building. 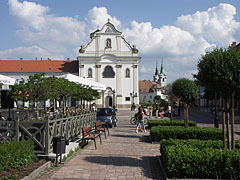 The St. Michael's Church stood on this place until 1761, for approximately five hundred years. 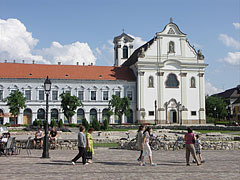 The building played a dominant role in forming the surrounding cityscape, at a time there were attempts to extend it and convert into a cathedral, but it was unsuccessful. 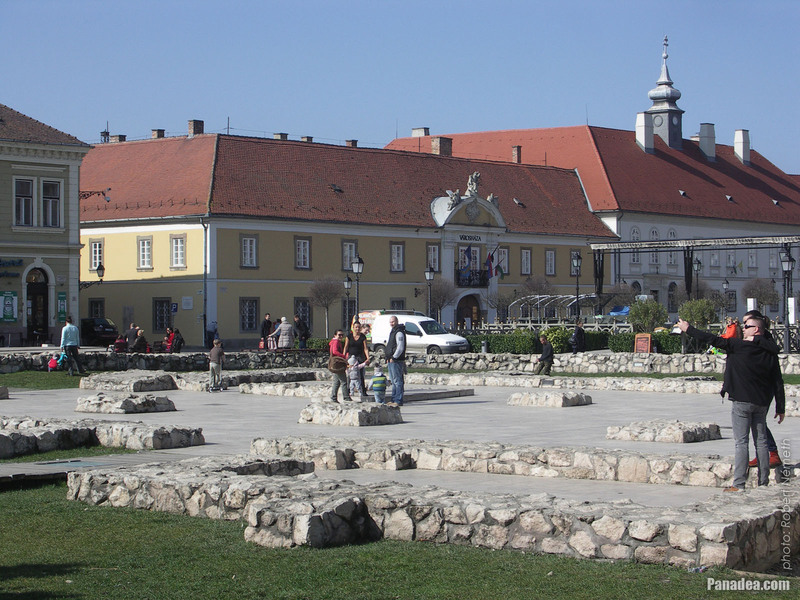 In the Turkish era Calvinists occupied the ruined church for themselves, but in 1761 it was finally demolished. 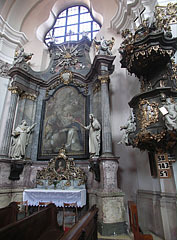 The body of St. Hedwig (in Polish Jadwiga) was buried in Kraków, Poland, below the altar of the Wawel Cathedral. 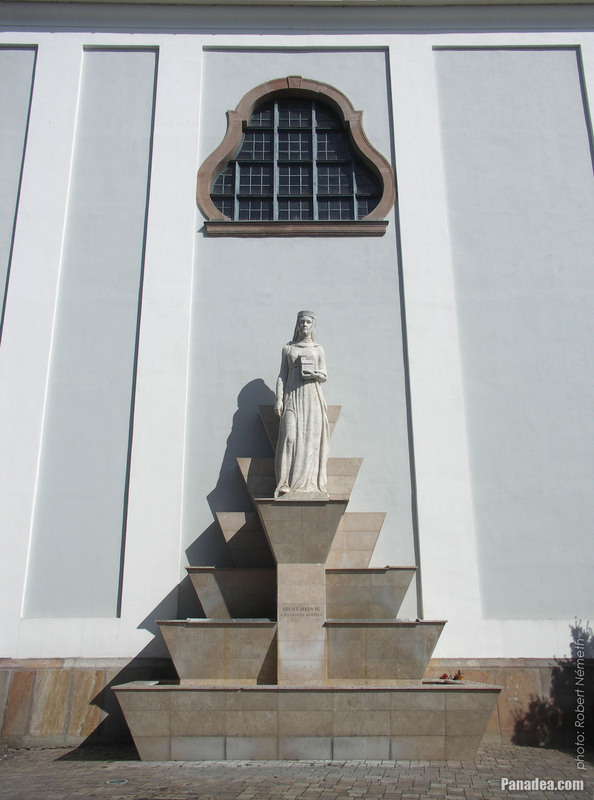 Not in the royal crypt because everybody was sure she will be canonized soon. 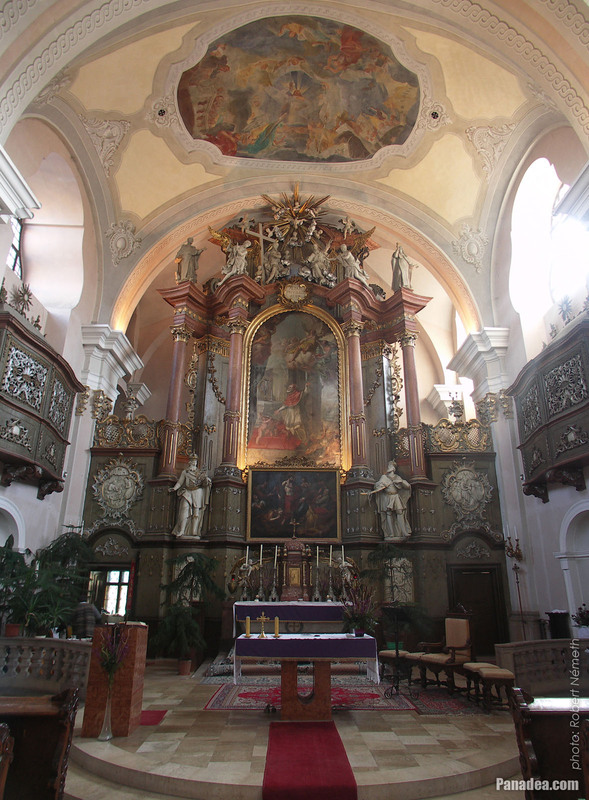 But this happened only in 1997, thanks to Pope John Paul II (born as Karol Józef Wojtyła) the first Polish Bishop of Rome. 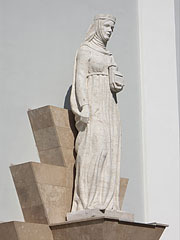 Independently from this she was venerated as a saint already after her death, and she was always represented according to this. Since 2006 St. Hedwig is the patron saint of the Danube Bend (in Hungarian "Dunakanyar"), the region where Vác is located. 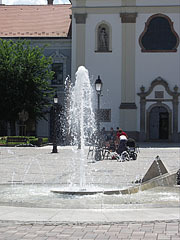 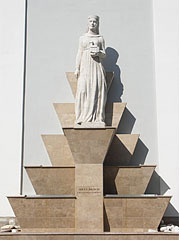 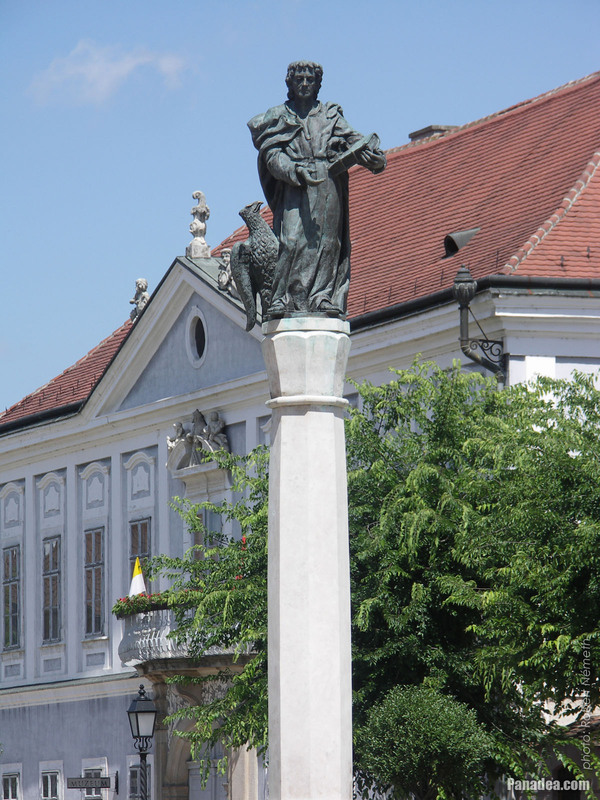 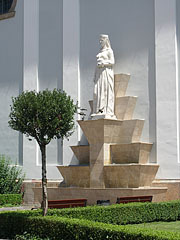 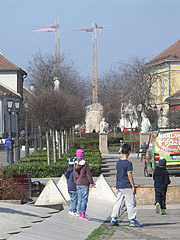 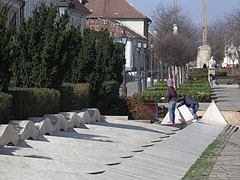 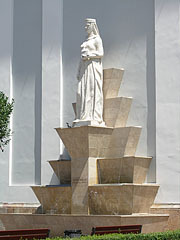 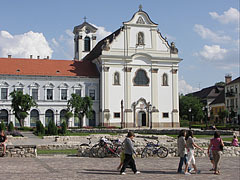 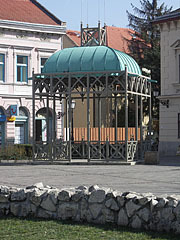 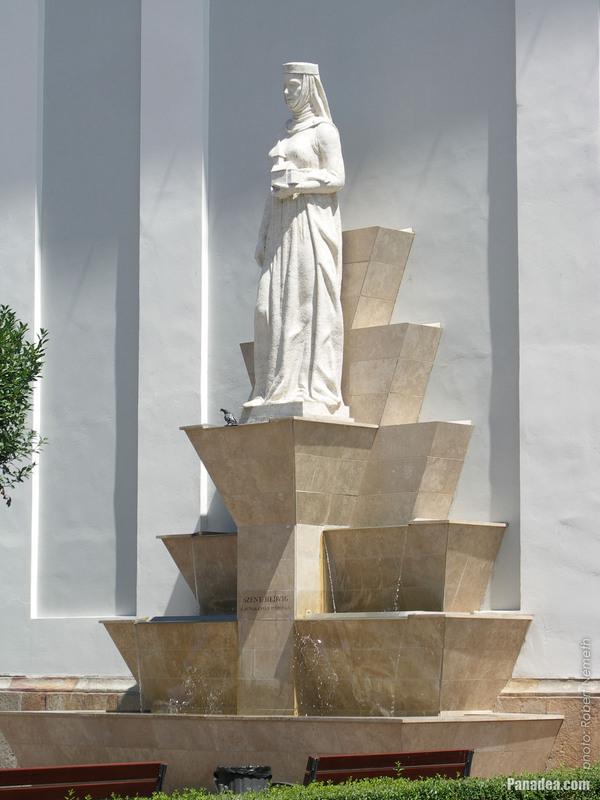 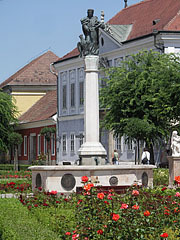 The statue in Vác beside the Church of the Whites ("Fehérek temploma") was created by Tibor Horváth and László Sáros in 2006, in the year when the town square was renovated. 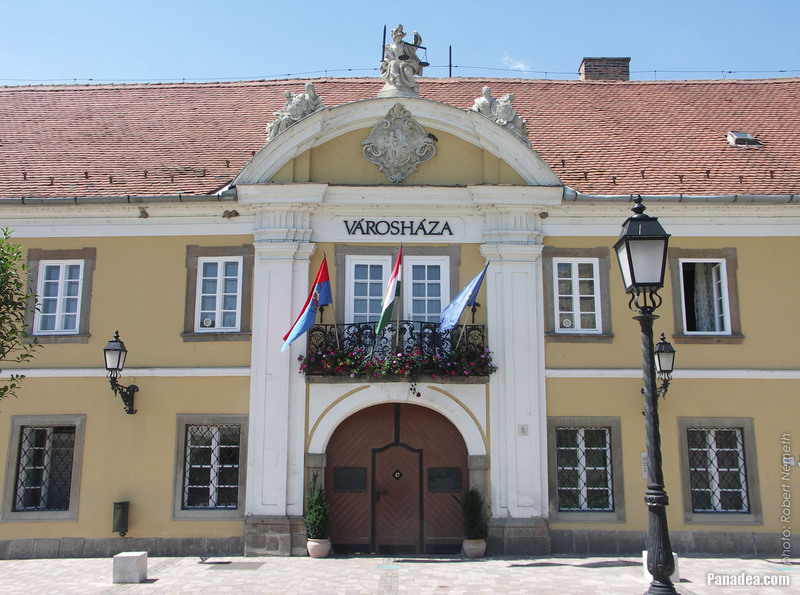 The Provost's Palace (in Hungaran "Nagypréposti palota") was built in the mid-18th century, it is the residence of the great provost (or high provost, provost major). 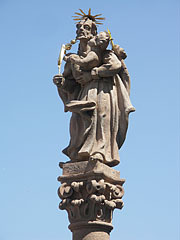 The provost is a high-rank senior official in many Christian Churches, he is the head of the chapter and the adviser of the bishop. The renovated building is the home of the Diocesan Collection of Vác. 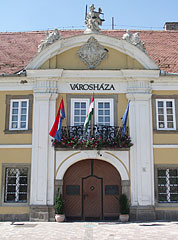 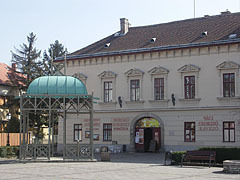 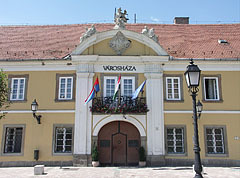 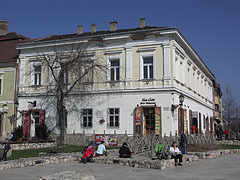 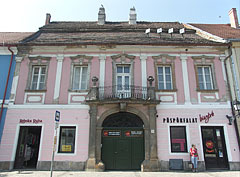 The Town Hall is considered the most significant baroque secular building of Vác. 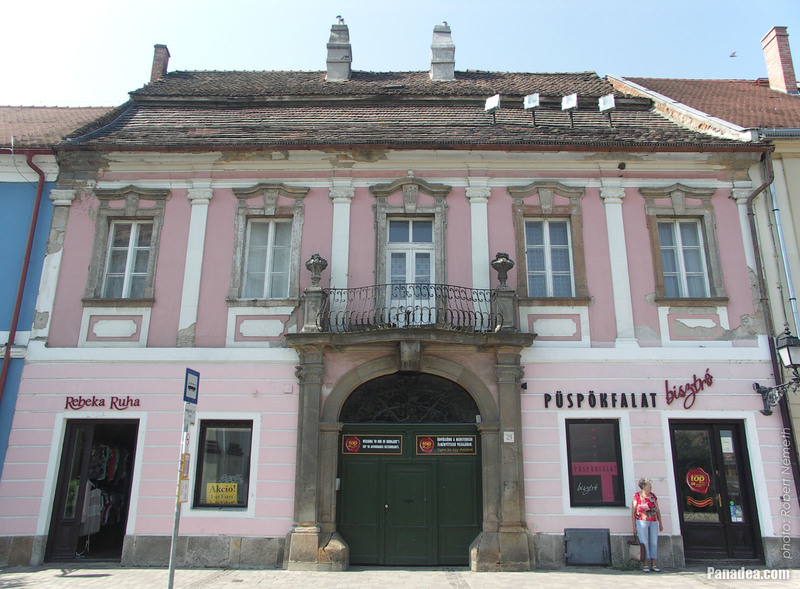 According to a map from 1680 formerly there was a Turkish bath building on its site, but a source from 1718 already shows a town hall here. 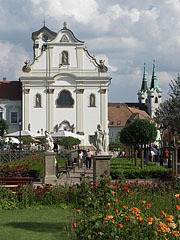 The present-day building was built from 1730 until the visit of Empress Maria Theresa in 1764. 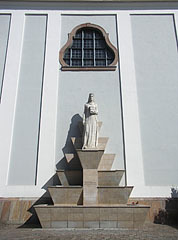 The central figure on the facade of the building is the statue of Justitia (or Iustitia, Lady Justice), the goddess of justice. 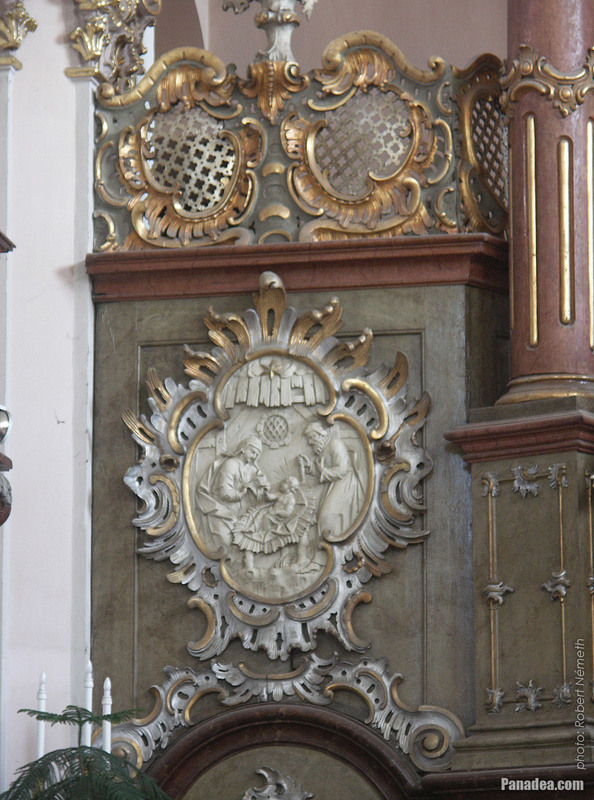 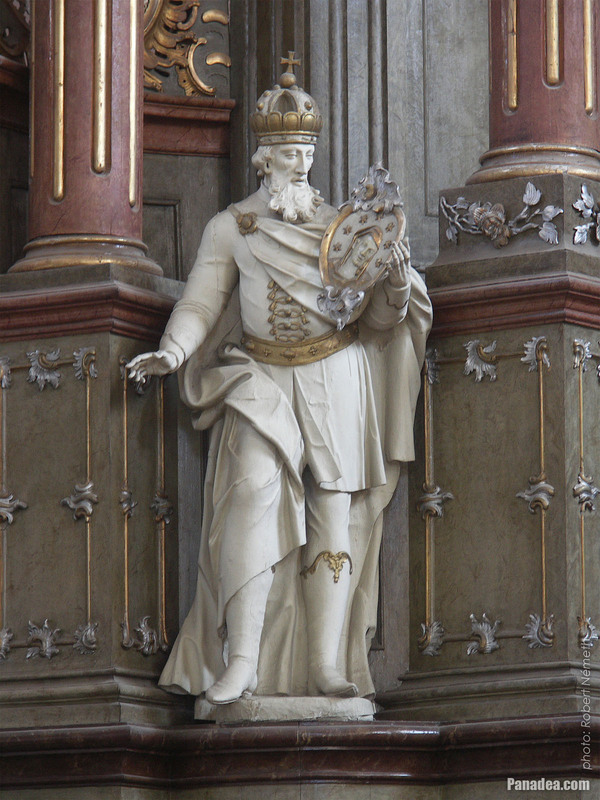 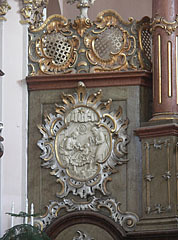 There are two other female figures on both sides with coat of arms, one is of Hungary and the other one is of Bishop Kristóf Migazzi who financed the construction. 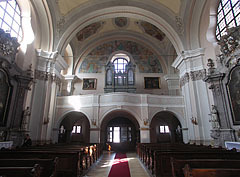 During the renovations of the church of the 1990s, more precisely in 1994 the workers found a forgotten entrance, a way down behind a bricked-up door. 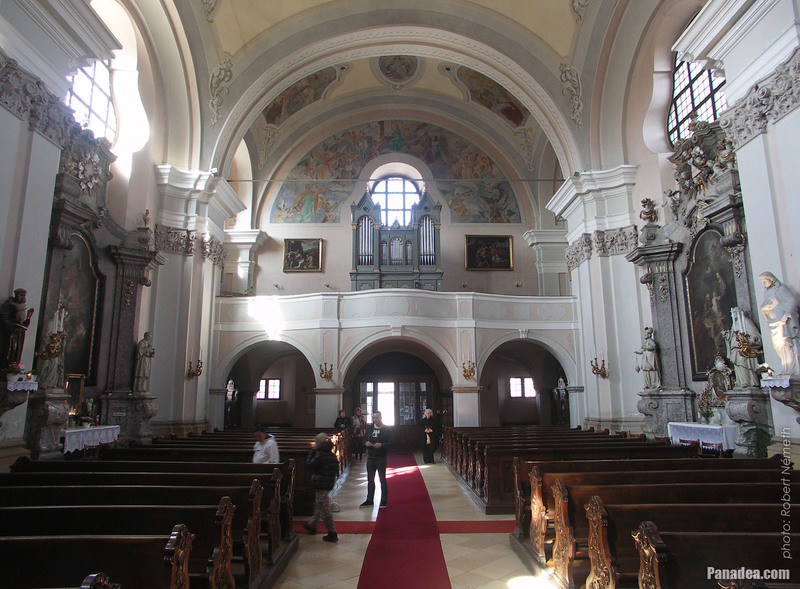 This way led to a vaulted crypt where there were a lot of (total of 265) 170 to 270-year-old highly decorated coffins stacked almost to the ceiling. 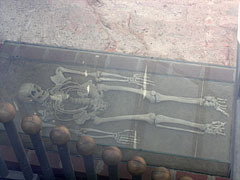 Instead of skeletons there were naturally formed mummies in the coffins, dressed in funeral clothes. 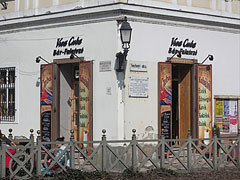 With the permission of the Bishopric of Vác scientific studies have been performed on the "Mummies of Vác" and the site as well. 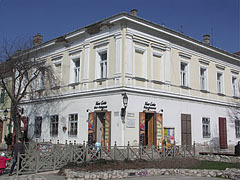 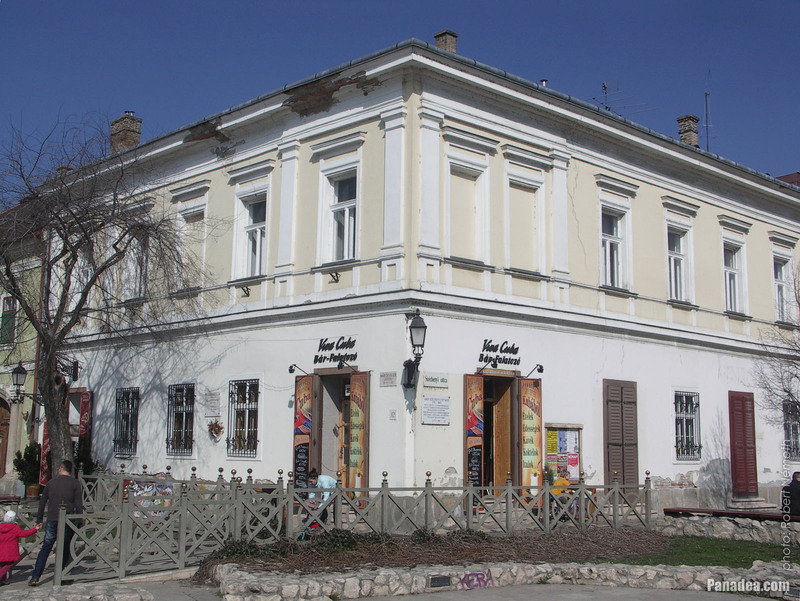 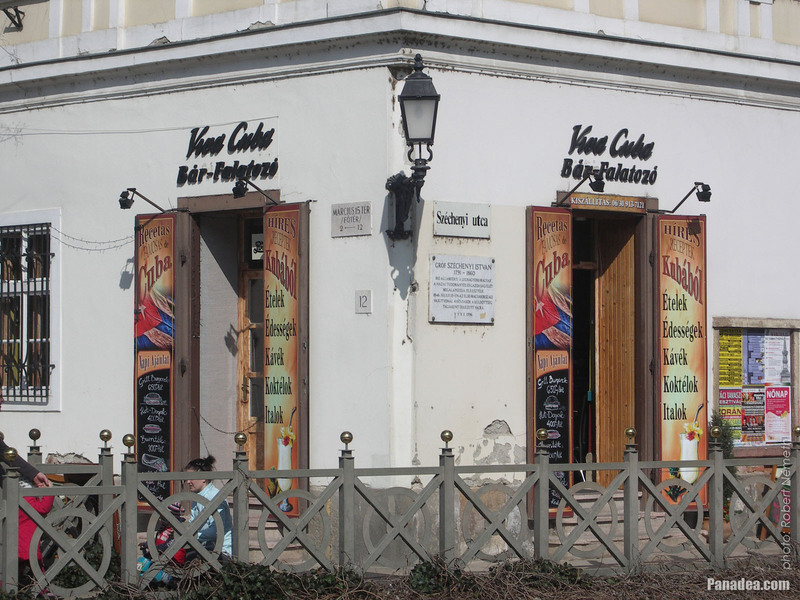 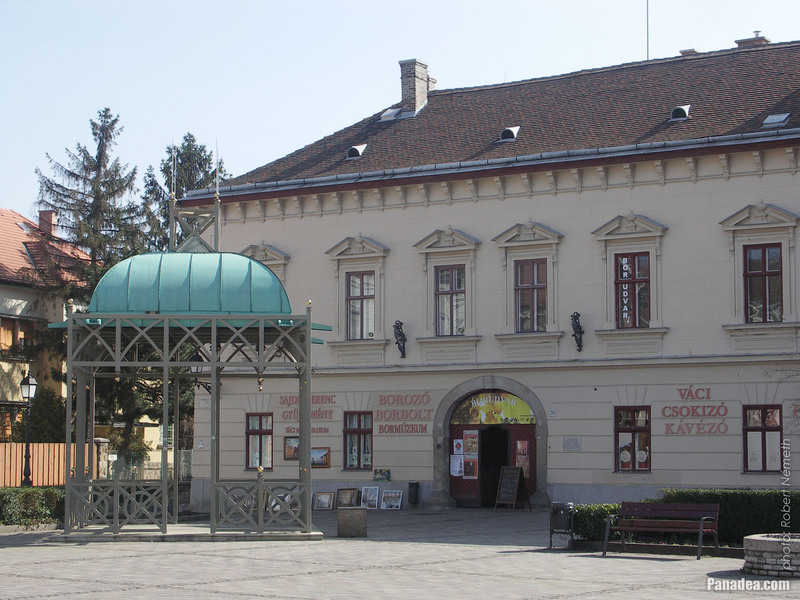 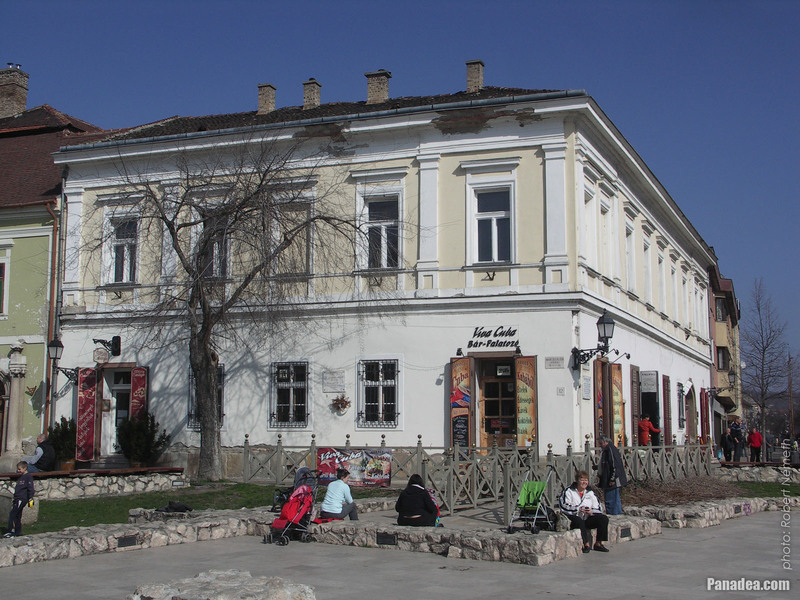 Today the funerary objects are kept in the Tragor Ignác Museum that conducted the exploration, and the bodies (except a baby mummy) are within the Anthropological Collection of the Hungarian Natural History Museum ("Magyar Természettudományi Múzeum"). 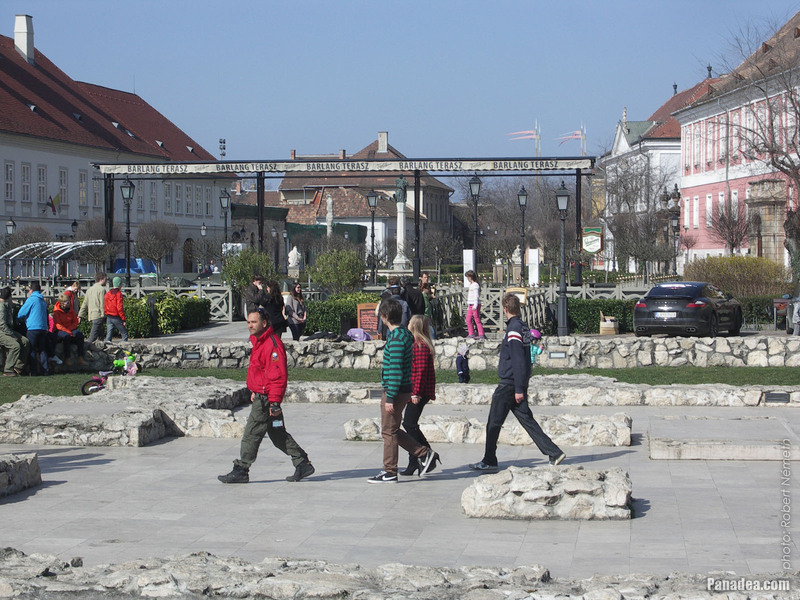 The finds give an insight into the everyday life, habits and beliefs of the people of different origins, ages and social backgrounds, who lived here about 200 years ago. Moreover, even their facial features can be discovered thanks to the scientists. 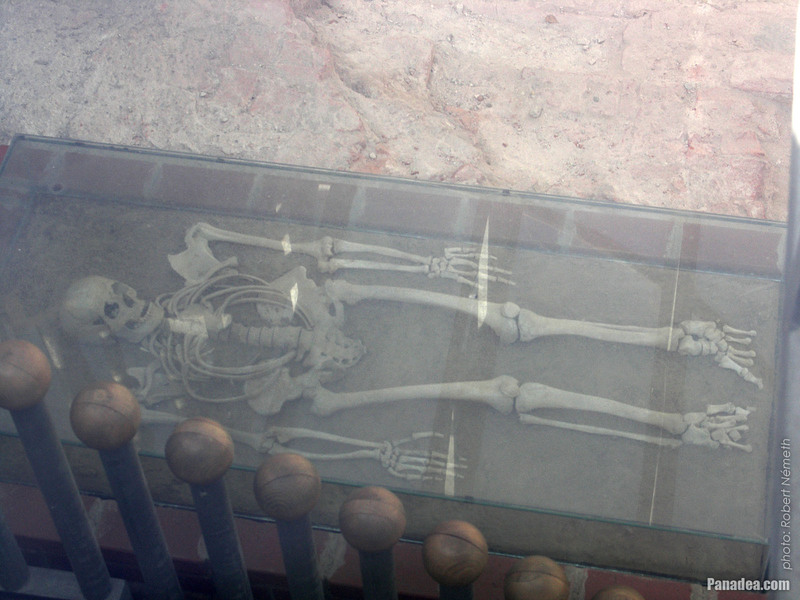 A sensational discovery related to the finds that some of the found mummified people were probably fully resistant against more deadly diseases when they lived. The cause of it is still under investigation, but the resistance was probably due to genetic mutations. 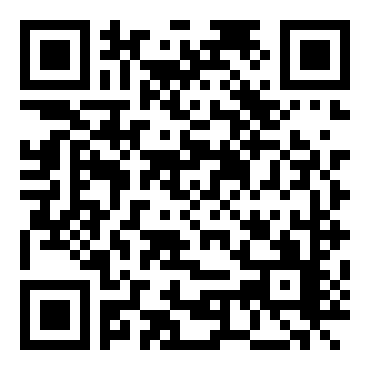 In the near future this research could be a great help to the medical science.